We're absolutely delighted to have won the Silver award in the Top Independent Operator category at this years UK Bus Awards. The announcement was made on Tuesday 21st November at The Troxy, a restored art deco cinema, in London. 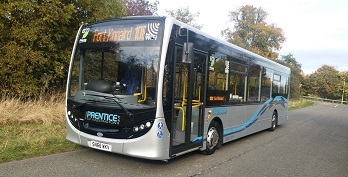 The judges commented "Prentice Coaches punches well above its weight for a small operator, offering its customers free wifi, developing it's own app and having a very effective social media presence. 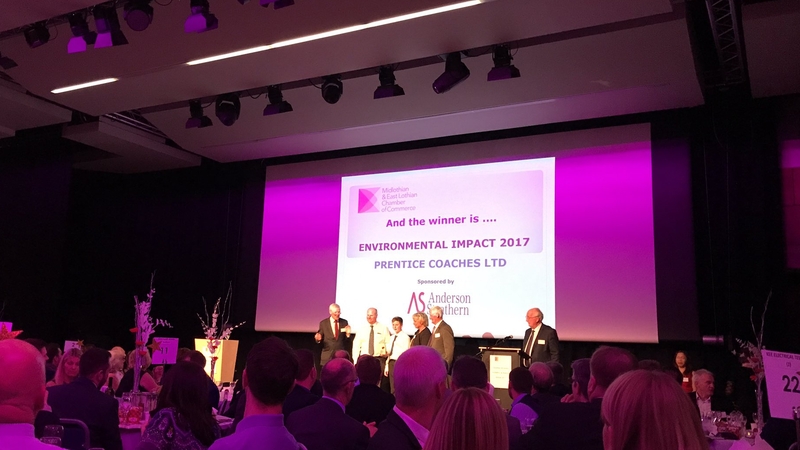 They were pleased to see the company take over routes abandoned by other operators at short notice and turning them around into profitable services"
We were delighted to be presented with the 'Environmental Impact' award at last nights Midlothian & East Lothian Chamber of Commerce Business Awards dinner. 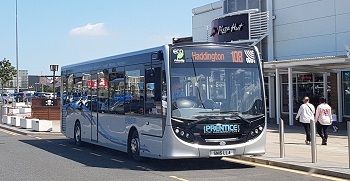 The judges were impressed by our investment in eco-friendly 'low carbon buses' for our 108 and 111 routes which are helping to reduce emissions in the air quality zone in Musselburgh and our rainwater harvesting system for washing our vehicles. Could we make it 2 years in a row? After being sworn to secrecy for the last few weeks we are extremely proud to have been announced as a finalist in the most prestigious national bus industry award scheme, the UK Bus Awards. The announcement was made at a special finalist event held at the Museum of Transport, Greater Manchester on Thursday 12th October. We are shortlisted in the Top Independent Operator category, a category which we won last year. 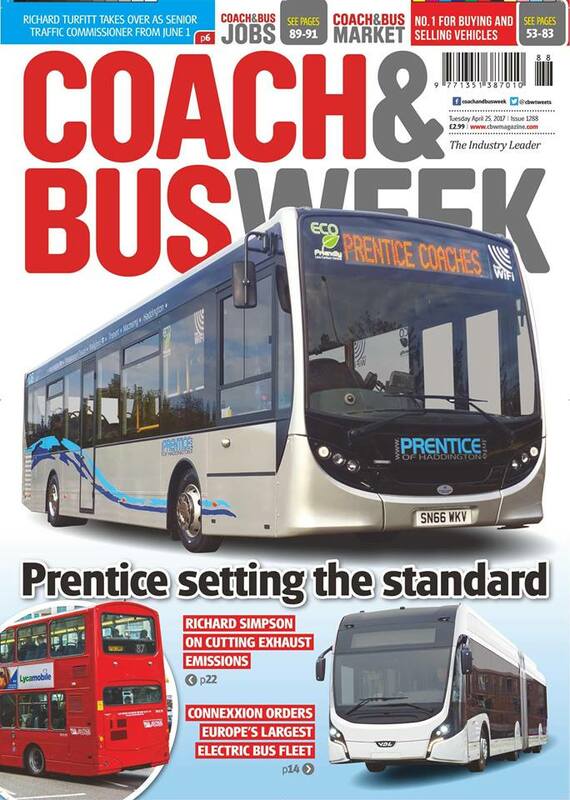 The award recognised Prentice Coaches' commitment in service delivery and going above and beyond for their customers. 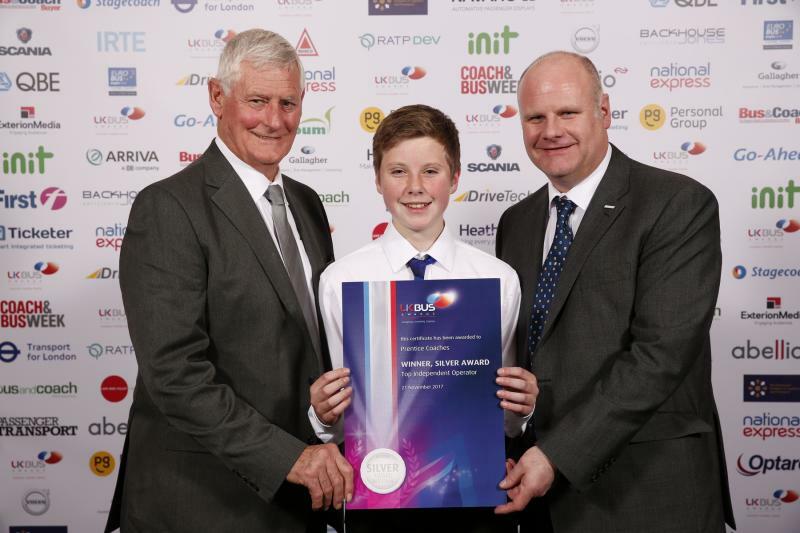 Mark Yexley, Chairman of the UK Bus Awards, said: "To be a finalist in this category is a great achievement. Companies must demonstrate outstanding levels of performance, and every member of the team has input in making this happen. It's a great honour to be able to recognise these independent businesses. 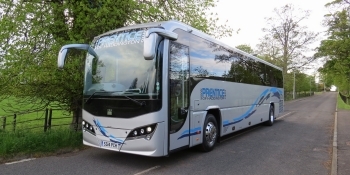 We wish Prentice Coaches the very best of luck at the awards ceremony on the 21 November." 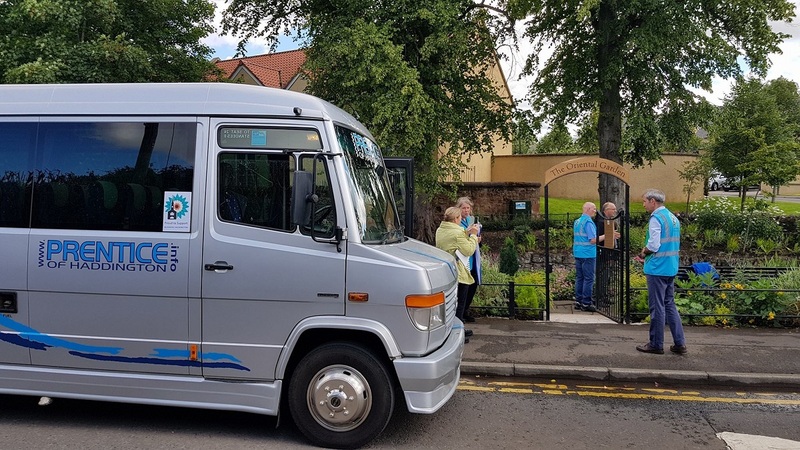 This afternoon we were delighted to Transport the judges from Keep Scotland Beautiful around our town along with the volunteers from Blooming Haddington, as we have done every year since its inception, as they judged our town in the 'Best Medium sized Town' category in this years awards. Today some of our drivers took part in a 'cycling awareness' D-CPC training course. The course was provided by Phil and Bob from Cycling Scotland and consisted of both classroom and practical training so that we could experience a cyclists point of view. Working in conjunction with Transport Scotland, we are delighted to formally launch our new smartcard products which are quicker, easier, durable, and much more convenient for our passengers. Smartrip allows our customers to purchase paperless tickets anytime, anywhere through our web portal or our app. After pre-purchasing online passengers then simply tap onboard and go. 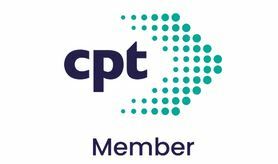 Following the introduction of the sQuid e-purse pay as you go smartcard option last year we can now offer a 10-journey carnet, together with 7 and 28 passes. The products are stored on the Smartrip card and are available for either our Urban or Rural Zones, or an All Zones network, with options for Adults, children, and for discounted staff travel. It's not every day we make the front cover of a magazine !! 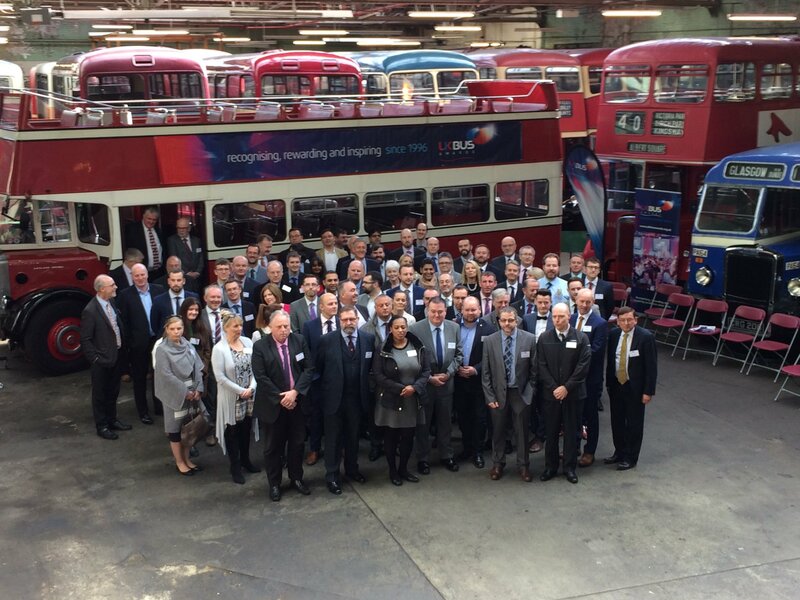 Elizabeth from Coach and Bus Week visited us a few weeks ago to find out the reasons behind us winning 'Top Independent Bus Operator' at the 2016 UK BUS AWARDS. The result of her visit is a 6 page feature, and the front cover photo, in this weeks issue. This magazine is unique in that it is stocked in WHSmith and widely available to the general public. You can view the feature by clicking the icon below. This coming May Bank Holiday, and all other bank and local holidays in May, we will be running a normal weekday service on all our bus routes. As our loyal passengers know we always run a standard service on public holidays as we know many passengers will also be working normally. We have just been informed that due to infrastructre works on Kings Road Longniddry the 111 will be unable to serve that section of the route, highlighted in yellow, and will instead have to use the A198, marked in red, instead until the works are completed. 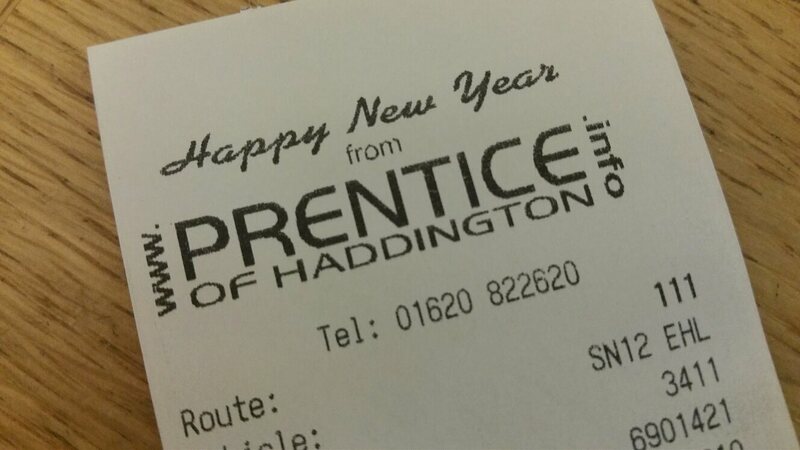 From Monday 17th April we are revising our fares from Haddington to Musselburgh and Fort Kinnaird. 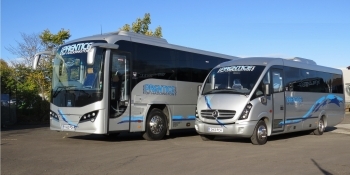 All other fares will remain the same as they already offer the best value travel within East Lothian. We will be running a standard timetable over the Easter weekend, as we always do, as we know many of our passengers are still working normally. As part of our process to reduce of environmental impact we have decided that from Monday 10th of April 2017 we will no longer issue paper tickets to concessionary pass holders. Passengers will still be required to tell the driver their destination as this is recorded for reimbursement and information purposes. We hope our passengers understand that this decision will help to further reduce our carbon footprint. 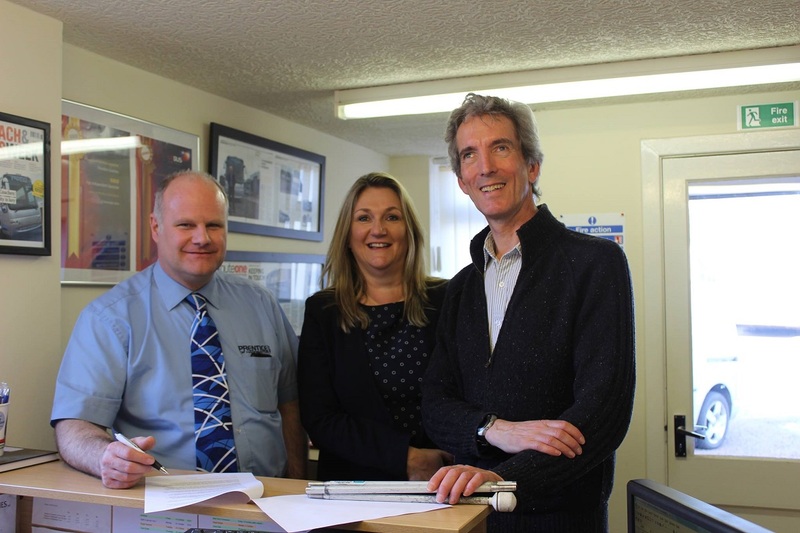 This morning we signed up to the RNIB Scotland bus charter. Afterwards our drivers took part in a 'swap with me' event with Ken Reid a blind ambassador from the organisation. Click the link below to read the charter. 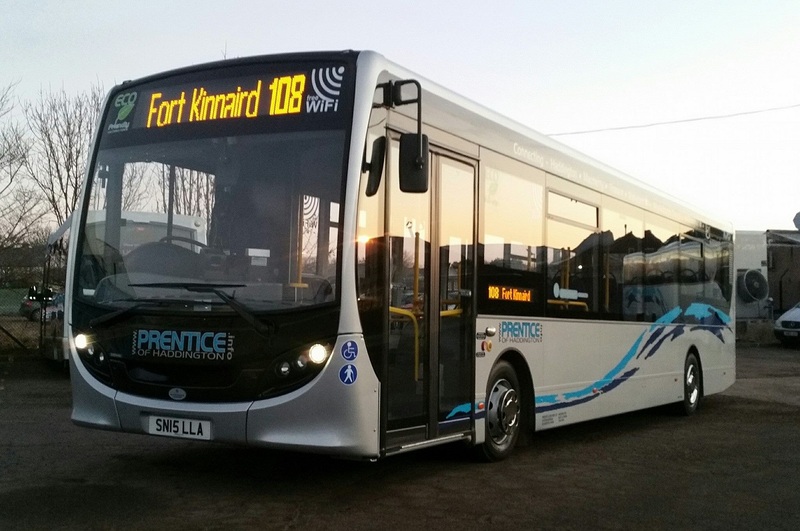 Our latest Eco-Friendly Enviro 200 about to enter service on our 108 Haddington to Fort Kinnaird route this morning. It's an Ex-Manufacturers Demonstrator which we had when new in May 2015 and brings the number of 'Low Carbon' model's in our fleet to five, all bought within the last 16 months. Due to the closure of The Loan in Wallyford it will be nessesary to divert our 108 bus service from Monday 16th. We will be unable to use the sections highlighted in yellow and will use the roads in red instead as marked on the map below. We're running a Sunday service today on all our bus services. Normal service resumes on Tuesday 3rd January.